Our one bedroom apartments feature light, air-conditioned, open spaces with modern design. 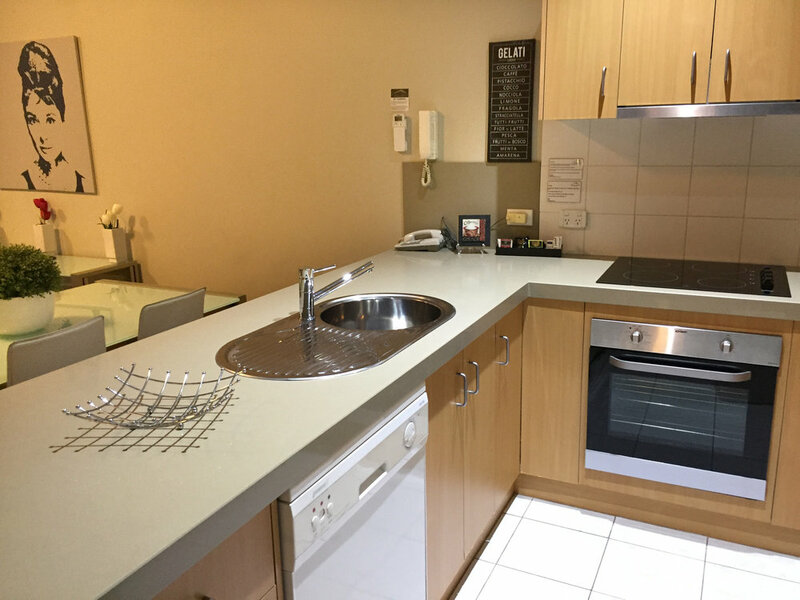 All our apartments feature flat screen LCD TV, a fully self contained kitchen including a full sized fridge, oven, stove top, microwave and pantry. The private bathroom includes all the amenities. The laundry is fully equipped with a washing machine and dryer. Perfect for a weekend away from the kids or an extended stay for business. Our spacious and modern two bedroom, two bathroom executive apartments with a choice of king or single bedding, plus two separate marble bathrooms with all the amenities one could desire. All our apartments feature a fully self contained kitchen with a full sized fridge, oven, stove top, microwave and pantry. The laundry is fully equipped with a washer and dryer. The separate lounge/dining area is much larger than a deluxe apartment by approximately 50% and makes this an ideal apartment for a large family, colleagues away on business or a luxury vacation in Melbourne. This modern and stylish two bedroom standard apartment features two bedrooms and a spacious dining area. All our apartments feature a fully self contained kitchen including a full sized fridge, oven, stove top, microwave and pantry. The laundry is fully equipped with a washer and dryer. The private bathroom includes all amenities and the separate lounge/dining area makes this an ideal apartment for any long-term stay, family or group. Our two bedroom, one bathroom executive apartments are the perfect in-between solution. After the luxury of our two bedroom executive with no need of a second bathroom? We've got you covered. Featuring king-split and queen sized bedding this particular niche apartment meets all your needs and more. Enjoy our spacious, light-filled apartments with all the luxurious amenities that our executive class apartments have to offer. You won't be disappointed. Fully self contained two Bedroom two Bathroom Deluxe apartments are ideal for families, large groups or two colleagues away on business looking for accommodation with extra space. 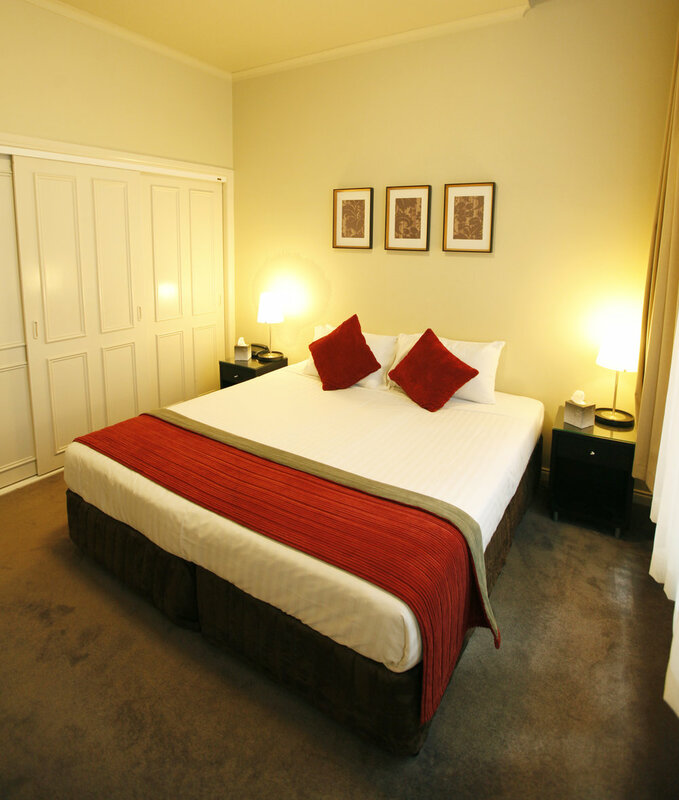 At Flinders Landing Apartments our guests have the option of variety of bedding configuration to suit their needs. 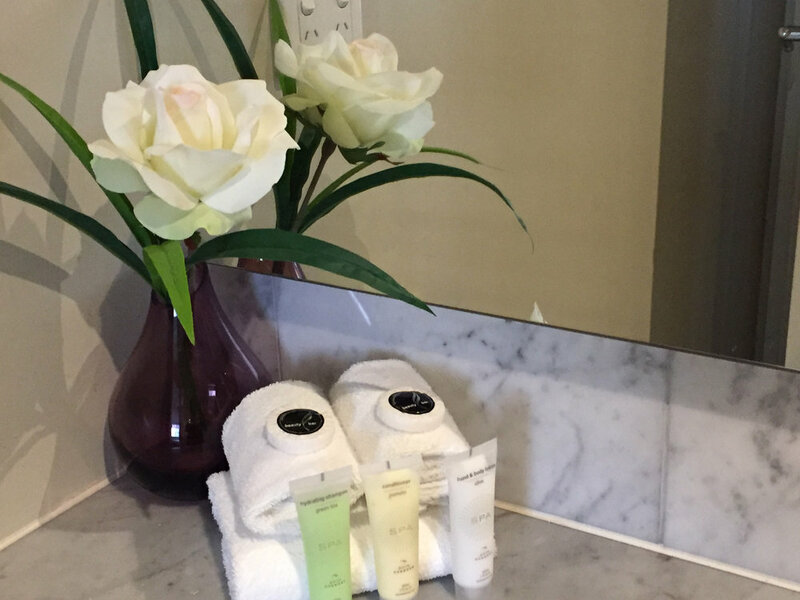 No more fighting for the bathroom - Deluxe apartments have 2 bathrooms with all the amenities our guests require. Our three bedroom executive apartment is ideal for large families or groups. A combination of a queen, four single beds or king bedding, this apartment is very spacious and has plenty of room for everyone. Two bathrooms are an advantage, especially for a large family. 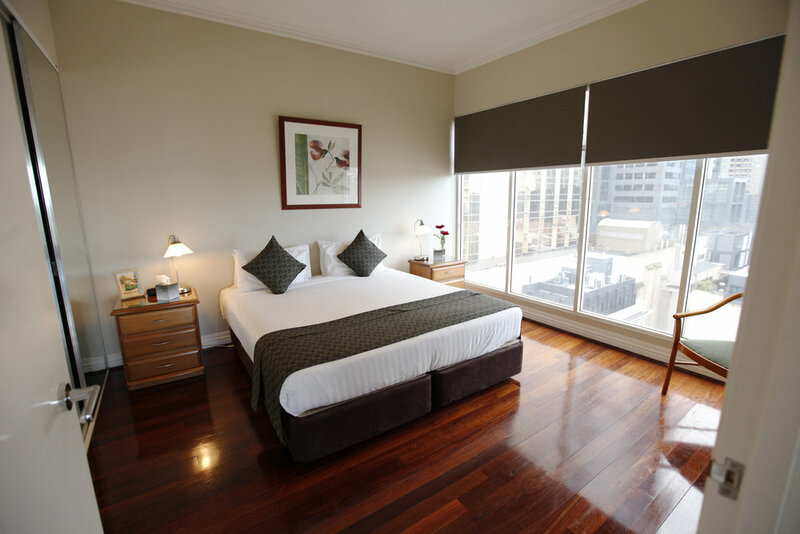 Relax in style while on your trip to Melbourne. This apartment can comfortably sleep 6 with existing bedding - 7 with a roll-away bed at an additional cost of $50 per night. Cots are available upon request at $5.00 per night. 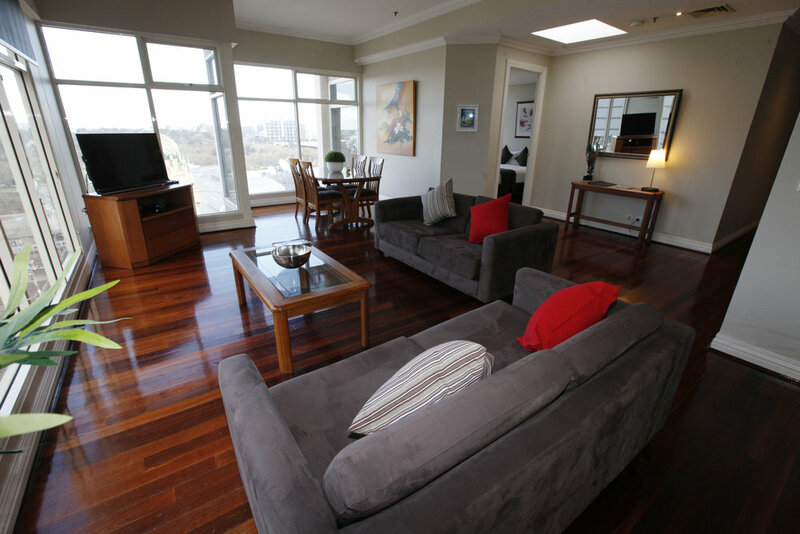 Our Penthouses are the best way to spoil yourself during your stay in Melbourne. 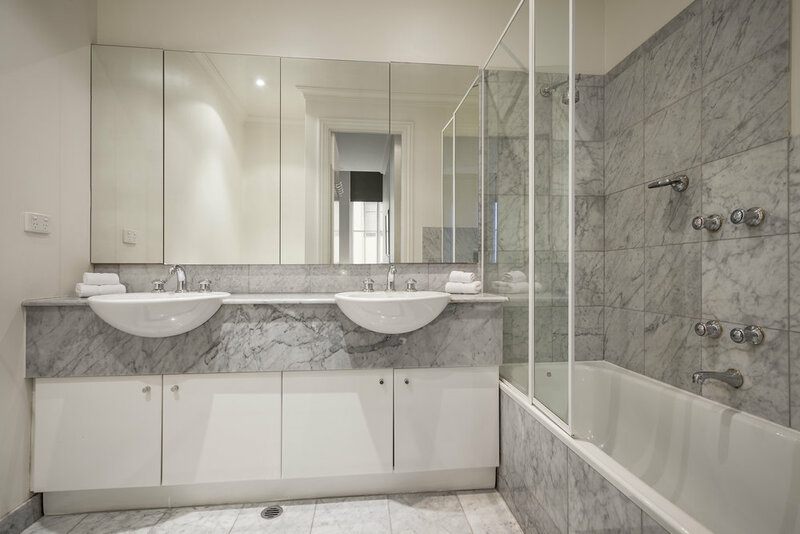 The Penthouse apartments are very spacious and surrounded with stylish furniture throughout, fully self equipped kitchen and laundry facilities, two marble bathrooms, and if that's not enough, the fantastic view of Melbourne will leave you breathless. 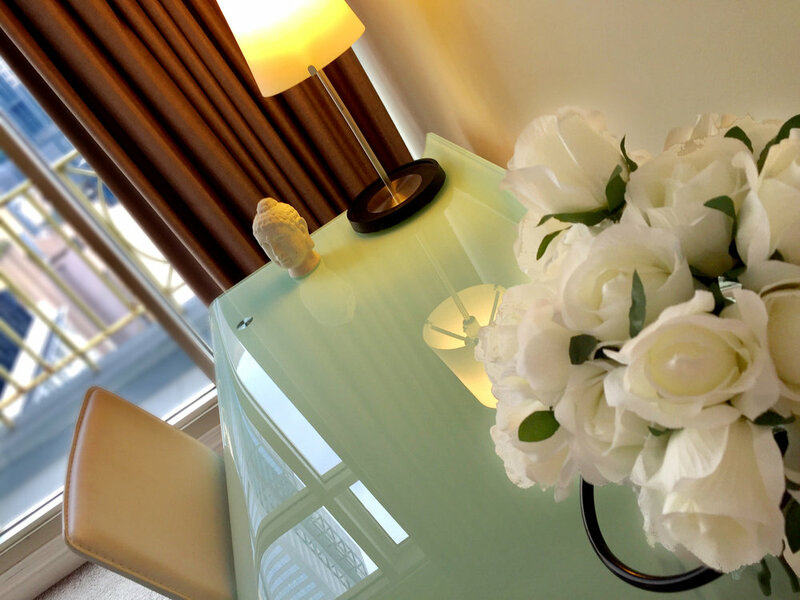 If you require accommodation for a special occasion, VIP or simply to indulge yourself - our penthouses apartments are an ideal solution for you. 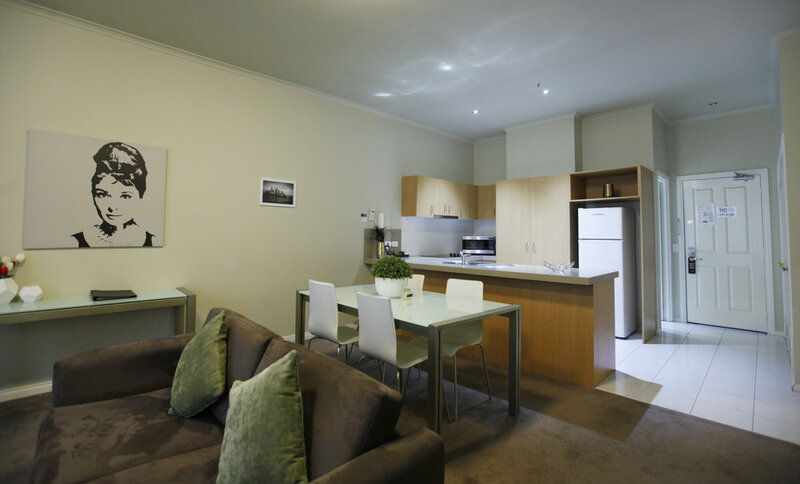 Flinders Landing Apartments employs multiple highly trained staff to ensure each one of our rooms is optimised for style, comfort and cleanliness.